Advent is nearly over. Tomorrow is the 4th Sunday of Advent and also Christmas Eve. The Advent Word for today is 'Child'. The reason for the season of Christmas, which begins after dusk on Christmas Eve is the birth of one particular child, born in Bethlehem. 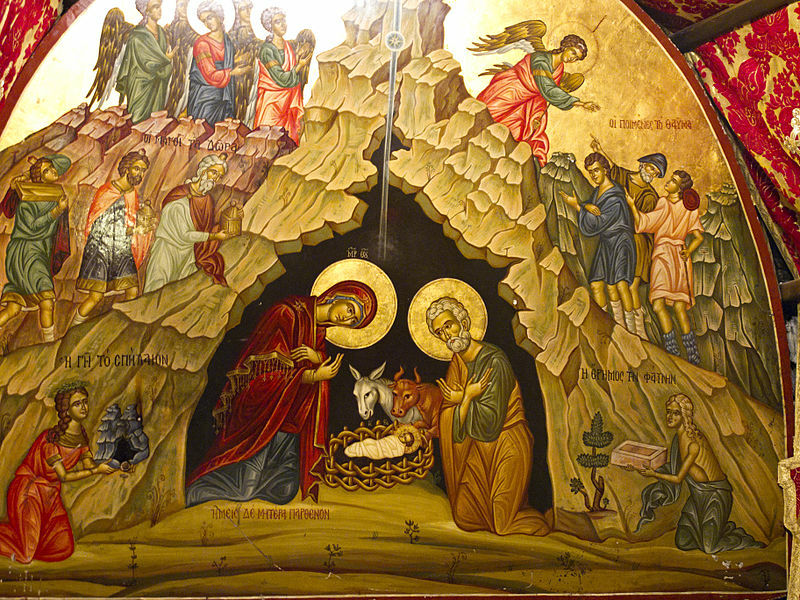 So as an image for 'child' I have chosen this image of a painting in the Basilica of the Nativity in Bethlehem, over the underground cave where Jesus is said to have been born. Praise be to God for the gift of this child.